I took a old canning lid and punched holes in it with a nail and hammer. Then I placed it on a quart jar. Wa La! Watering Jar. Love it! Uses stuff I had on hand and works perfect for the job. Love the idea about the watering jar! I have the same trouble when I start seeds…this is a great solution! 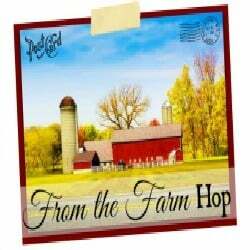 Just stopped by from the Friday Front Porch blog hop!